Miss International Queen - the World's Largest and Most Prestigious Beauty Pageant for Transgenders - will be held on Friday, 10th March 2017 at 21.00 hrs. (UTC + 7: Thailand Time) at Tiffany's Show Theatre, Pattaya, Thailand. 28 beauties beauties from all over the world will be vying for the title and crown which will change the course of their life forever. 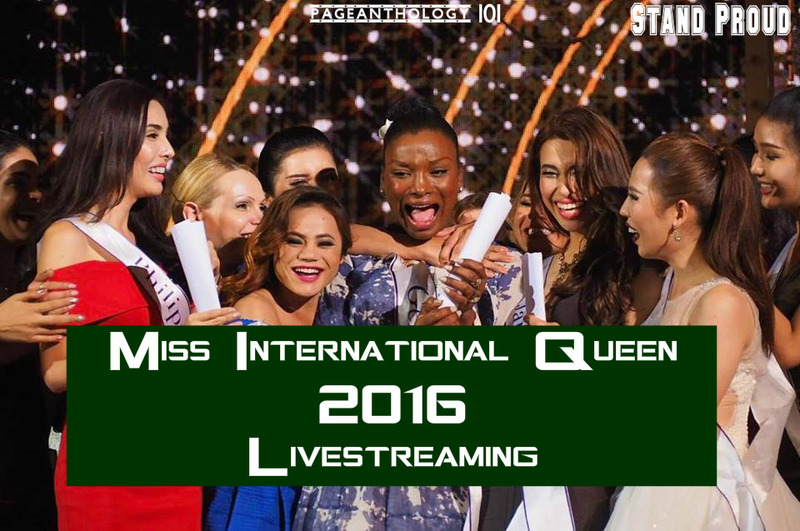 What time and where to watch the Miss International Queen? Keep locked on this page, the Miss International Queen 2016-2017 live coverage, videos and results will added here once available.